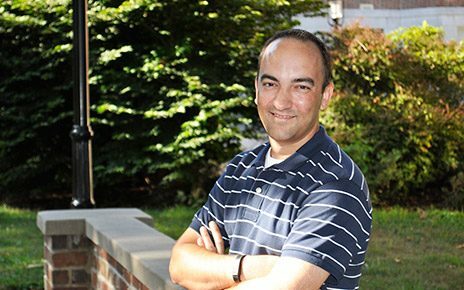 Accountancy professor at MU earns recognition for his years of research and teaching. Sociological research is often different than typical scientific research. It is more centered around interviews and people instead of being centered around a lab environment. Dr. Wayne Brekhus explains how his students conduct their research and how he guides them. After 11 years of teaching, Chris Pires, associate professor in MU’s Division of Biological Sciences, says his most rewarding experience has been mentoring dozens of undergraduate students. Mizzou faculty members earn the Boyer Award for Excellence in Teaching in four of the last five years. Eric Aldrich’s interest in meteorology began when he was a child and was frightened by severe thunderstorms. If he could predict when a thunderstorm was going to happen, he thought, then maybe he wouldn’t be afraid. Berkley Hudson, a professor in the School of Journalism, recognizes some faculty would rather have a graduate or doctoral student assist with research projects. Hudson understands that, but has found undergraduates can also provide valuable assistance.